Feeling punchy this inauguration season? Take a note from Andrew Jackson & join the wildest party the White House has ever seen! 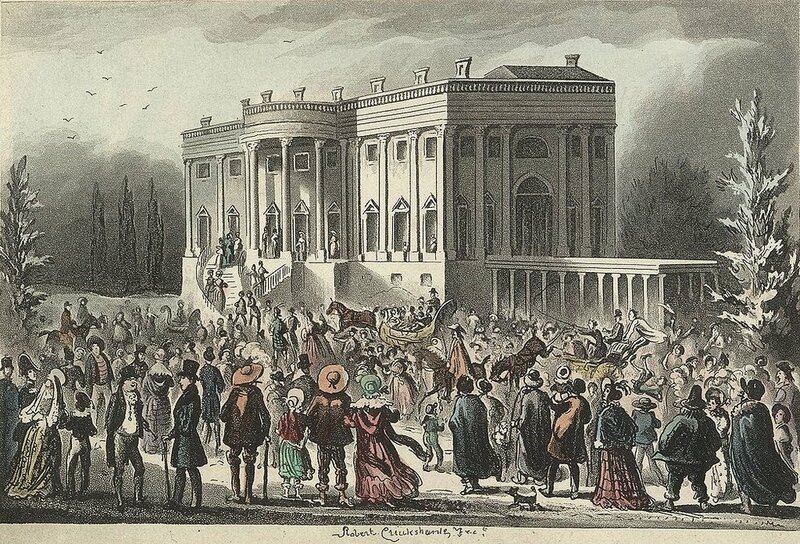 In our first episode of 2017, we’re heading to 1829 when 10,000 people crashed Jackson’s Inauguration Reception for a bit of cake and barrels of free punch. But was this party as wild as rumors have suggested? Did Jackson plan the whole thing? And where did all those punch barrels come from? We’ll learn the history of the popular tipple & why it’s been the drink of American politicians for over two hundred years. We’ll even throw in some great punch recipes straight from the history books for you to make at home. All this and more on a very punchy inauguration special of The Feast. Interested in making some of your own tipple? Below are a number of recipes for "the flowing bowl". We've included some recipes for Orange Punch & Whiskey Punch, a variation of which may have been the very drink served to the White House guests in 1829. Why not try some yourself this inauguration season? Even some famous Americans have their own punch recipe! Daniel Webster, secretary of state in the 1840s and 50s, was so known for his love of punch, his own "preferred" recipe for the stuff survives in later 19th century bartending guides. Webster's recipe uses the trick of adding tea to the mixture for added flavor. Although I'm not sure how much tea you taste after adding the *other* ingredients (champagne, red wine, port, cognac, rum and brandy!). Was the 1829 reception really as crazy as it seemed? American historians, David S. Heidler & Jeanne T. Heidler, cry foul. In their article, "Not a Ragged Mob; The Inauguration of 1829", they provide new evidence that folks have been exaggerating this 1829 event. Check their article out for a great new interpretation of these events. Jahzzar, "Bodies" Bodies by Jahzzar is licensed under a Attribution-ShareAlike License. Original Dixieland Jazz Band, "Tiger Rag-One Step" Tiger Rag-One Step by Original Dixieland Jazz Band is licensed under a Public Domain / Sound Recording Common Law Protection License. Grossman, Ewell, Grainger, "Bozza, Duettino for Two Bassoons" Bozza, Duettino for Two Bassoons by Grossman, Ewell, Grainger is licensed under a Attribution-ShareAlike License.